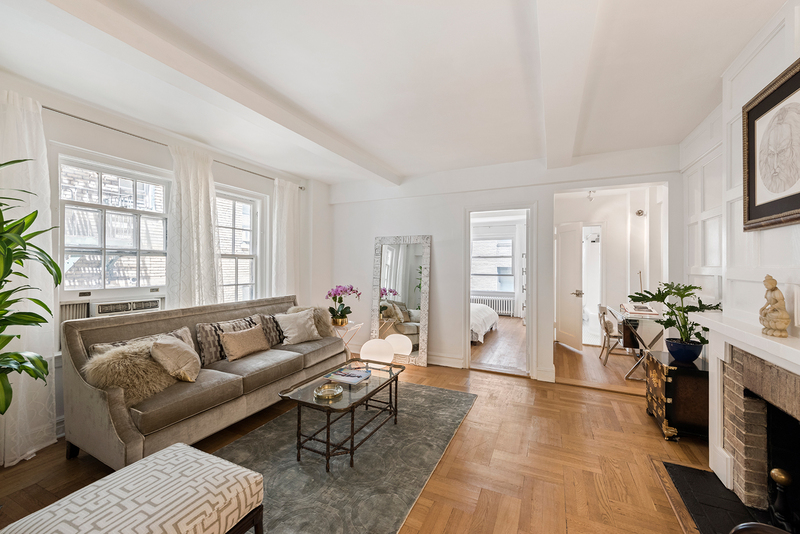 Located just off Fifth Avenue and moments away from Central Park, this charming, chic, modern and spacious pre-war one-bedroom with a wood-burning fireplace is a rare gem to find. There are only two other homes that share the landing off the elevator in this boutique co-op. 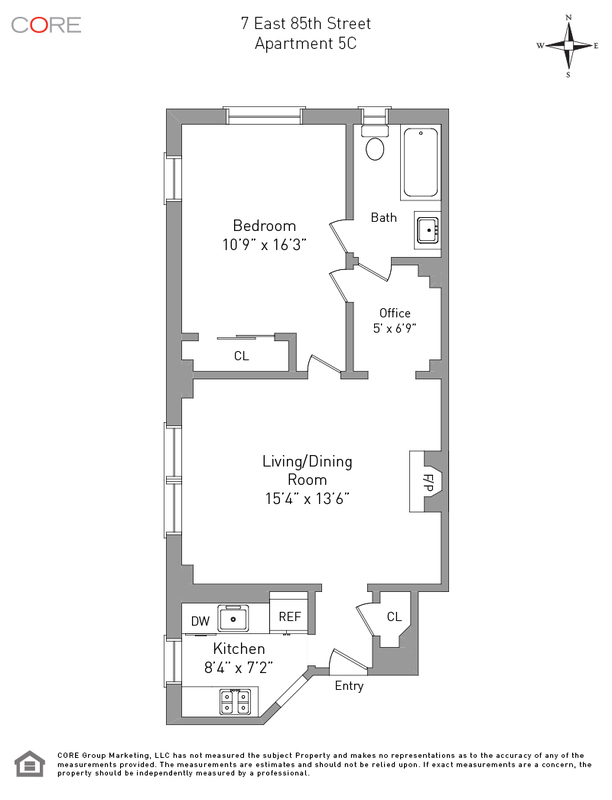 Enter through the foyer and head to the living room, which is truly the focal point of this apartment. Wood paneling surrounds the stunning, marble mantled wood-burning fireplace that truly transforms the space into a cozy oasis. Every room including the kitchen and bathroom has a window. Additional features include high beamed ceilings and hardwood floors throughout, two large closets, and an office that could easily be made into a large dressing room if you desire. Enviably located less than half a block from Central Park, near the Met, and the Guggenheim, and don't forget Dean & Deluca on the corner!